Several months ago now, I came across The Photographer’s Lounge of Waterloo Region on the web and saw some interesting workshops being offered in this area over the summer months by the organizer, Kevin Pepper. We’ve been pretty busy traveling this summer but a two day weekend workshop presented by Rick Sammon was an excellent opportunity and one I just couldn’t miss. Rick is a very well known photography instructor/author/podcaster, so it made sense for me to attend this seminar. Saturday’s session at the Bingemans Conference Centre included a morning session on portrait lighting using speed lites with various light modfiers. Rick gave an excellent slide presentation in the afternoon and explained the HDR process in detail. Today our class was in an auto wrecking yard about 45 minutes from Waterloo. It was a bit on the chilly side this morning at 8:30 am as I tromped around the property but things warmed up marginally before noon. The auto wrecking property was really more of a automotive graveyard with probably more than a thousand vehicles of all shapes and sizes scattered over about ten acres of property. 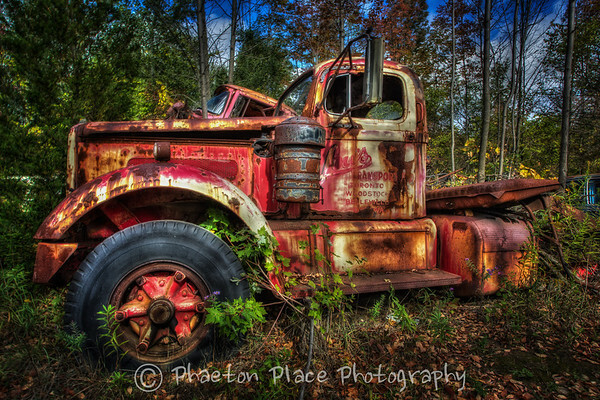 Lots of rust, grunge, contrast and saturation…..a perfect place for some HDR photography. I made a little boo boo though getting ready for our shoot. My instructions said we’d be shooting HDR for a couple of hours so I threw my 17-40mm on my Canon 1D mkIV, grabbed my tripod and cable release and I was good to go. 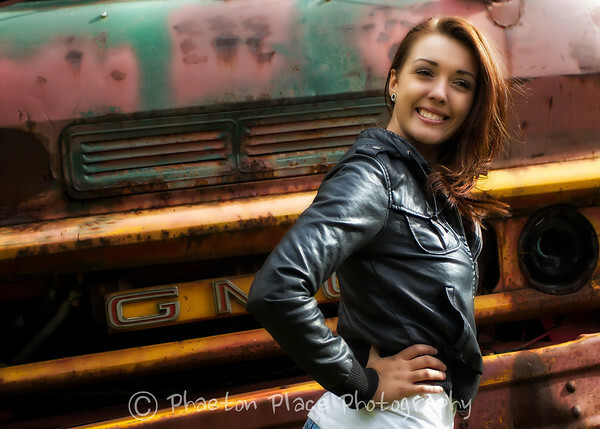 Once I walked down the access road to the property, I saw the organizers had arranged for a young model to pose for photographs among the old vehicles. So there were lots of people shooting with electronic flashes, reflectors and lenses better suited for portraiture than my wide angle lens. But I wasn’t about to hoof it back out to the Vue to grab a different lens and my flash, so I just made do with what I had on my camera already. At times one has to adapt…..right? I’ll let readers judge how things turned out. Today’s practical session was a wonderful learning experience and our model, Morgan, was a real trooper. My thanks to Rick Sammon, Kevin Pepper, Tom Baker and the rest of the students for making this a great weekend for photography. I’m posting a few samples of shots I got today and will try to post more in follow up posts. 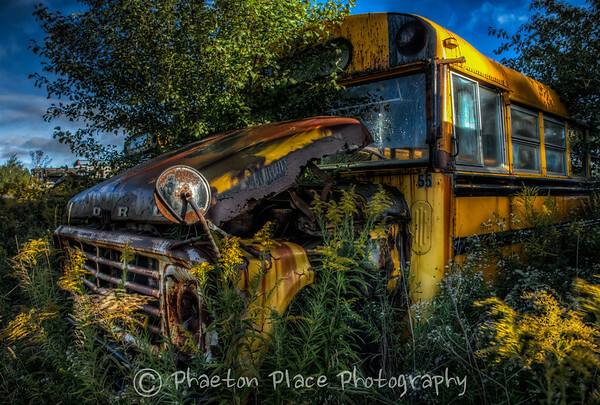 This entry was posted in HDR, Lightroom, Ontario, Photography, Photoshop.